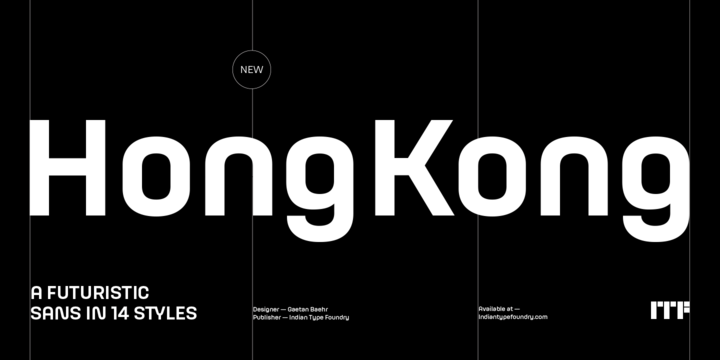 HongKong is a sans serif typeface created by Gaetan Baehr and published by Indian Type Foundry which was inspired by futuristic style. With a minimalist design it comes in 14 styles, 7 weights (from Hairline to Black) and their italics. It is ideal for branding, poster, logotype, graphic design etc. Have fun in (with) HongKong! A font description published on Monday, April 2nd, 2018 in Fonts, Gaetan Baehr, Indian Type Foundry by Alexandra that has 2,370 views.